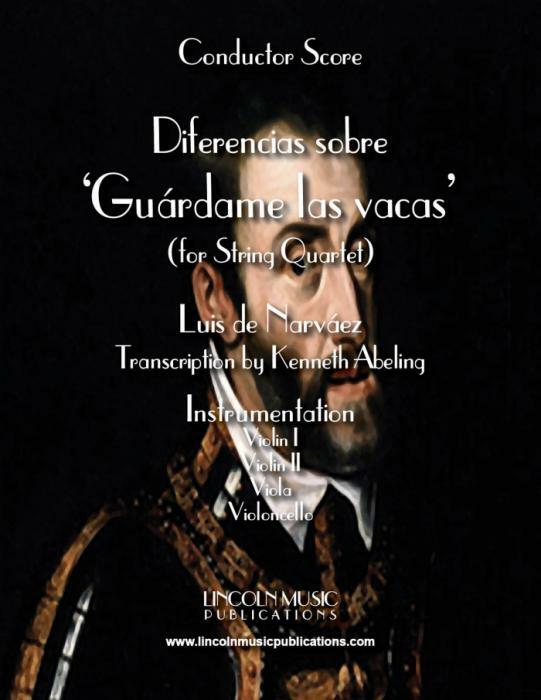 Diferencias sobre 'Guárdame las vacas' by Luis de Narváez. Originally written for the vihuela, this theme and variations has been adapted here for String Quartet by Kenneth Abeling. This Spanish, Renaissance era selection is a more advanced piece and a little tricky, but fun to play and showcases the entire ensemble!